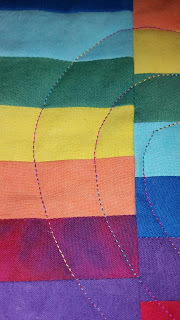 I got a scrap bag full of hand dyed fabrics from Ricky Tims & couldn't resist the rainbow colors. First I made the rainbow strata, then sliced it & turned those narrow pieces in the opposite direction. 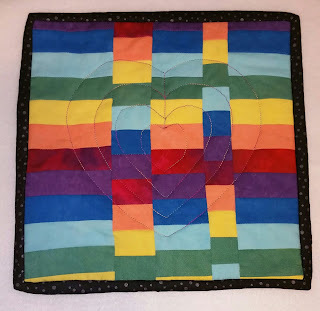 When I realized that the green would make a solid stripe across, I decided to stagger the seams a bit. A big PLUS in doing that - no seams to match up! 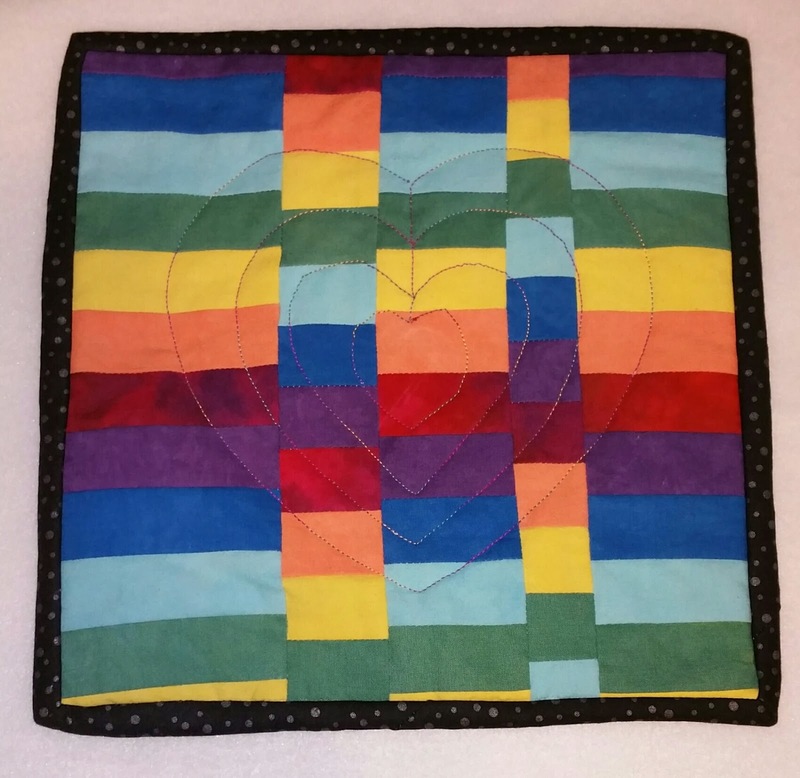 I drew the concentric hearts for the quilting onto printer paper & pinned it to the quilt, then stitched right through it. I've enjoyed looking at it sitting here in my house - almost decided to keep it for myself!